One error could affect your entire look. You likely already have a set skincare and makeup routine for the daily grind, but this is a callout: When you’re rushing, you might be skipping steps that are 100 percent essential to keeping your LOTD fresh all day. Don’t compromise. Below, six no-nos to take note of if you want your makeup to last all day long. Ridding your lips of dry skin may not be at the top of your priority list in the mornings, but it really should be. Your lipstick may be a fantastic shade of red, but any flaky bits will be the real head-turner…and not in a good way. The solution? After showering, gently whisk away any dry skin with the edge of your bath towel, then moisturize with a good balm before swiping on lipstick. Is the rush making you heavy-handed? That’s understandable, so start applying your eyebrow pencil on areas where hair is sparse—like the tails of your brows—before moving to the inner corners. The angled tip of the Revlon ColorStay Brow Pencil (P575) helps you fill in your arches precisely, while the blending brush lets you soften the color if you need to. 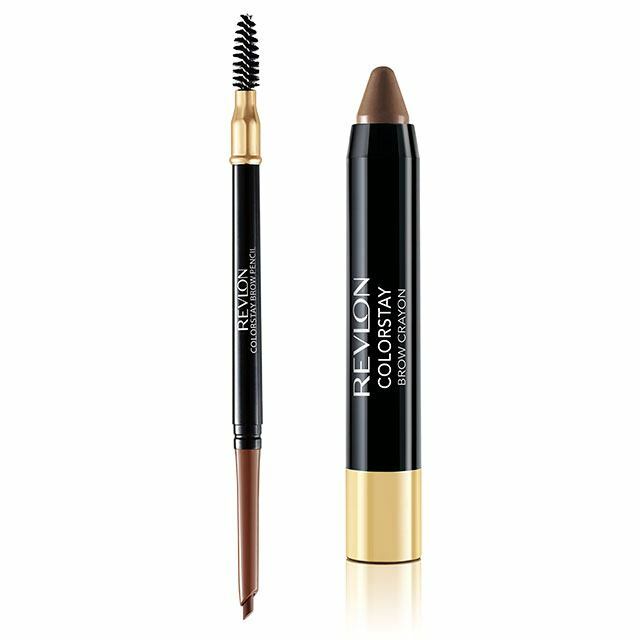 Tame stubborn, wayward strands with a wax brow product like the Revlon ColorStay Brow Crayon (P375). Its wax-to-powder finish is just what you need for sculpted, natural-looking brows. Taking a huge dollop of foundation then spreading it across your face in one harried go might sound like a time-saving move—and it is—but the few minutes you save isn’t worth the serious caking you’ll get. Instead, patiently dot on your base and spread the foundation in circular motions. The coverage will turn out better and far more seamless. 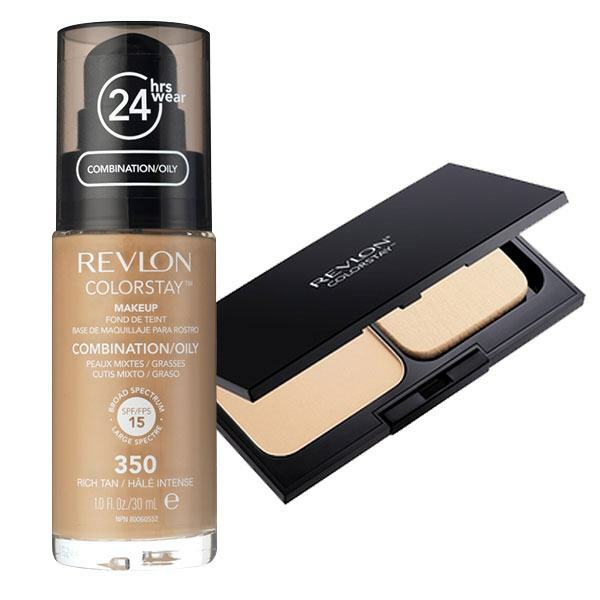 Try the comfortable, lightweight Revlon ColorStay Makeup (P825), an oil-free liquid foundation that offers a 24-hour coverage and comes in various shades for every skin tone. If you don't have the patience needed for applying liquid foundation, try the Revlon ColorStay Two-Way Powder Foundation (P995). The oil-free, long-wearing formula keeps sebum from ruining your look for up to 16 hours. Germ alert! You already know that cleaning your trusty makeup tools is an absolute must. While we can’t blame you for forgetting to wash them with your busy lifestyle, you need to make the effort. This is especially important for eye brushes: Tons of bacteria get transferred via the natural fluids in your peepers. Also, clean brushes ensure more precise application. This is one of those little things that matter a great deal. Even when you’ve cleansed your face properly, oil is bound to reappear and turn your perfect look into a slippery mess. 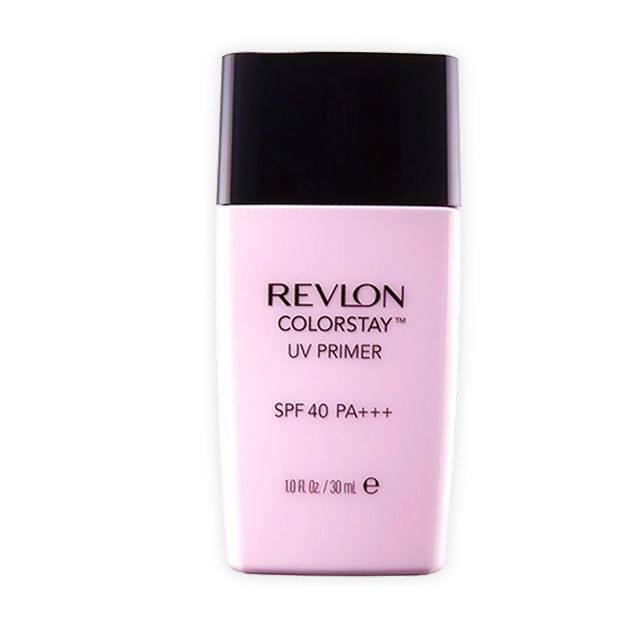 Before putting anything on, ward off any shine by patting your T-zone with blotting paper, then apply primer like the Revlon ColorStay UV Primer (P825) as a base for your makeup and to keep it in place. Hello, 24-hour matteness. You’re probably skipping moisturizer because you’re rushing and thinking that your skin’s going to get slick anyway. Moisturizing will make your makeup smudge faster, right? Wrong. Even oily skin can be prone to dry patches that only get accentuated when you’ve got makeup on. The fix: Massage moisturizer on, let it set, then put on foundation. Use a lightweight, long-wearing concealer to hide any blemishes. The Revlon ColorStay Concealer (P625) gives you continuous and undetectable full coverage all day. Setting your makeup is so important, especially if you’re oily-skinned. Your foundation has a better chance of lasting the whole day sans touch-ups if you dust lightweight powder on your face to minimize shine. Doing this also prevents your makeup from becoming cakey and heavy. 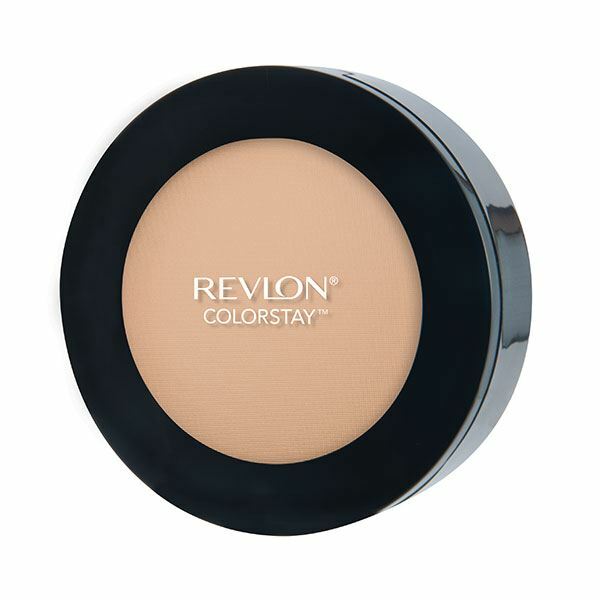 The Revlon ColorStay Pressed Powder (P825) does the job perfectly, offering a jet-milled formula for an ultra-fine, barely-there texture that lasts up to 16 hours. Revlon ColorStay products are on sale until May 31, 2018. Get any two of the ColorStay Face products for only P1,200. For more information on Revlon's ColorStay collection, follow Revlon on Facebook.